Many gyms and fitness studios offer Pilates classes, however as part of our holistic treatment plans, Back In Motion offers individual and group Clinical Exercise classes facilitated by qualified professionals and physiotherapists. 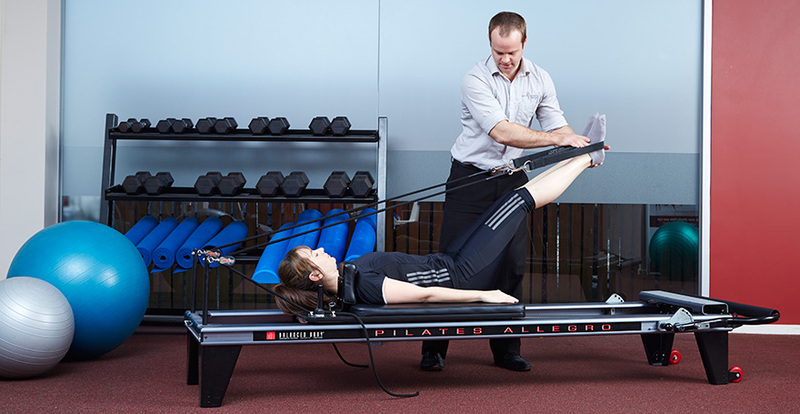 Our approach to Pilates is clinically proven and specifically tailored to individual’s needs. Because of this, we see great results in both female and male participants of all ages. Clinical Exercise is a highly-individualised form of traditional Pilates lead by qualified professionals and physiotherapists who have completed formal Pilates training. This means you will complete a safe and effective program under their guidance. With a focus on rehabilitation and prevention, your physio will prescribe specific Pilates exercises based on your detailed physiotherapy assessment. These tailored exercises target problem areas ensuring greater results and minimising the risk of injury re-aggravation. You will use a combination of specialised Pilates equipment including reformers and trapeze table complimented by floor-based exercises depending on your needs. This brings about better targeting and resistance as you progress in your Clinical Exercise program. Range of service options - individuals (one-on-one), semi-private (two to four) and classes (maximum of eight). When it comes to your physical health, there is no such thing as a one-size-fits-all approach. As part of our individually-tailored Clinical Exercise service, you receive a free pre-Clinical Exercise assessment during which your physio will establish areas of focus. We will then build the most suitable program to give the results you’re after. Group - five to eight participants, known as Clinical Exercise®. You will learn about dynamic stability that improves the functional strength of your spine and limbs as well as improving posture meaning you will see the results that you want, faster. Request a pre-Clinical Exercise assessment or class at your local Back In Motion practice.